I had three, upper-division literature classes my final semester of college, along with a writing workshop lead by a guest poet. Over those ten weeks, I wrote over a hundred pages and read a dozen books. In my personal life, I’d hired a lawyer in Portland, Oregon, to get an appropriate amount of child support for my older daughter, spending all the money I’d set aside for the months following graduation. I was pregnant and without a partner, stressing over a due date that was almost exactly one month after I got my degree. My final paper was about Shakespeare. It took almost eight hours to write. My friend took my then six-year-old for the day while I sat uncomfortably on the floor with pillows, books, and notes. I wouldn’t have enough money to live on after college, but I had focus on filling ten pages with my analysis of A Midsummer Night’s Dream. The class was required for my English degree. It met in a stuffy room at noon three times a week for an hour. It was my only class on the days I normally cleaned houses, stacking my other classes on Tuesdays and Thursdays. I’d had to let my clients go early in the semester from the scheduling conflict. I brought my daughter Mia with me a few times, once for a particularly bloody discussion on Macbeth. She’d sat through a lot of classes by then. One time I nudged her out of dazed Netflix-viewing to point out my picture on the screen in front of the class, showing an article I’d published. Another time my instructor, author Debra Earling, bent over a little and said to Mia, “Your mom is a very good writer.” I hoped she’d remember these moments, instead of the many times I left her with babysitters or sitting in front of the television while I filled pages. I took out the full amount of student loans to pay for living expenses. The Pell Grant covered tuition. I received a scholarship through WISP, Inc. (Women’s Independence Scholarship Program). My income from house cleaning teetered around $400 a month, the only money not spoken for. 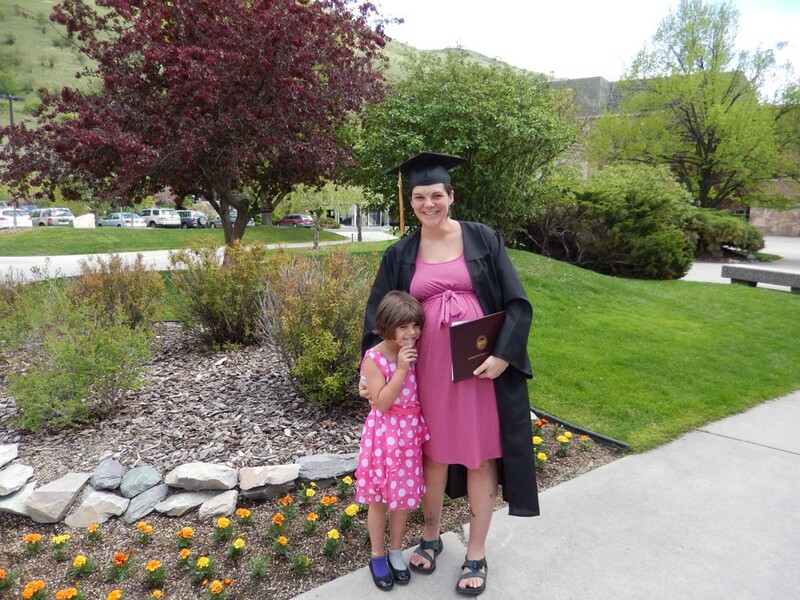 I began with taking classes online through a community college in northwest Washington, then transferred 500 miles away to my dream college at the University of Montana in Missoula. By the time I finished, I’d been in school year-round for the first five years of my thirties while raising Mia on my own. She watched me walk across the stage to signify completing my degree. She watched me hug my professors, including the one who taught the Shakespeare class. For a while, I only saw it as this huge, selfish thing I’d done, going into massive debt for a piece of paper. All through college, I’d cleaned the floors and toilets of women the same age as me or younger. It made my low-income status sting, like I was below them somehow. As my freelancing career grew, and I got published more, that line in my bio about earning my bachelor’s defined me. I had worked, persevered, and finished what I’d started despite setbacks. Despite adversity.